If you had Nokia OZO, the first professional VR camera, where would you take it? What would you like to film with it? Both are legitimate questions, but with no right answer, except everywhere! Well, we already had an opportunity to see OZO in different environments. 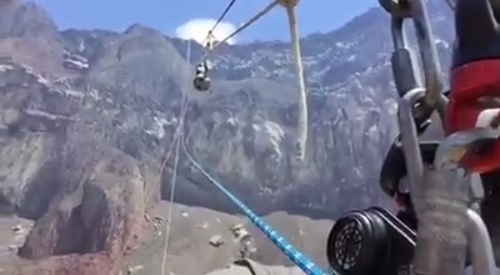 This one wouldn’t be anything special if it didn’t include science, volcano and zip line. So, to cut the story and this post short, Dr . Guillermo Caravantes decided to zipline himself and the cutest VR camera in the world, Nokia OZO, into the crater that he’s been studying for over 10 years. In this video you will not be able to see the 360° video and sound of dormant volcano, but just how everything is set up. Ozo looks like an infant following his dad into an adventure. I would really like to see the finished up video from this OZO’s journey.